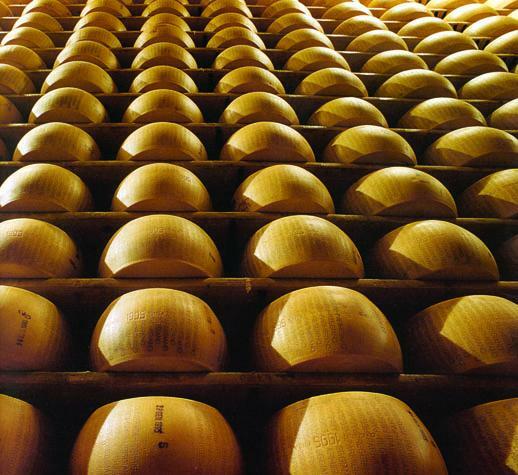 Parmigiano Reggiano DOP, the most famous Italian cheese in the world, was born nine centuries ago on the territories of Parma and Reggio Emilia. 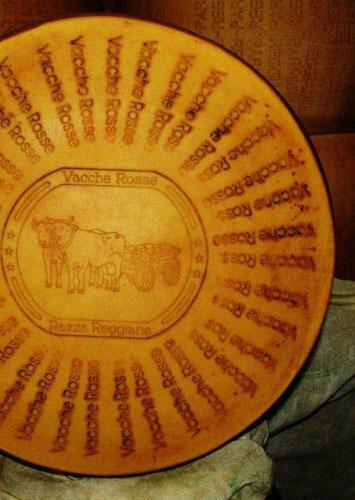 Medieval sources indicate that this cheese was produced, with the techniques still in use today, about the year 1200 in Benedictine and Cistercian abbeys on the Po plains between the Apennines and the river itself. Beginning in the middle ages, man's role was only to improve what was possible, leaving nature's primary role unaltered. Produced only in the provinces of Parma, Reggio Emilia, Modena and parts of Mantua and Bologna, it has a profound relationship with environmental protection and sustainable development. 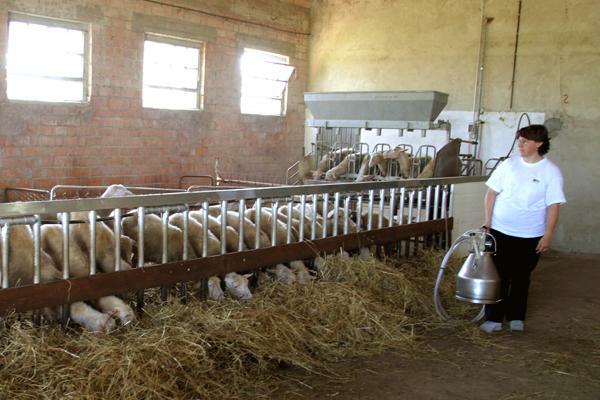 Feeding livestock is governed by strict regulations and milk is checked regularly. 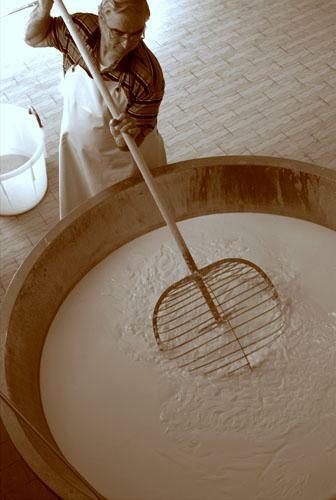 Master cheese-makers are the custodians and interpreters of the art of making this extraordinary product. 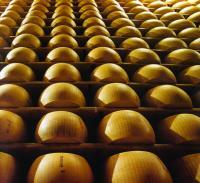 On the average, a form of Parmigiano Reggiano weights 35 kilos and it takes approx. 600 litres of high quality milk to make it. The forms mature naturally for at least 12 months and only then will it be known whether each individual form will retain the name initially stamped on it. Experts of the Consortium examine the forms one by one and only those that meet the standards are fire-branded with the DOP (denomination of protected origin) mark. 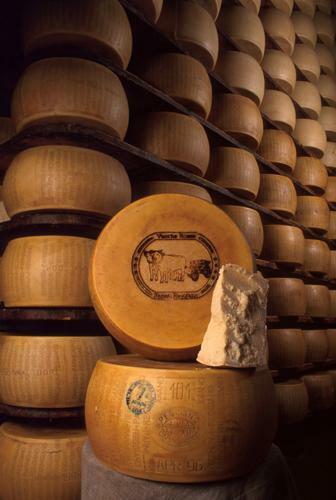 Parmigiano Reggiano acquires its typical grainy structure during aging. 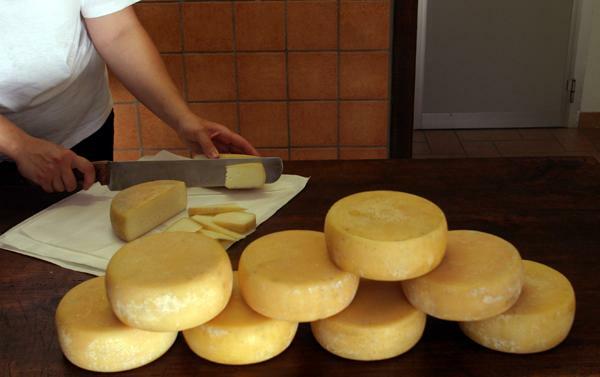 The cheese is delicious, easy to digest and extremely high in nutritional values. The concentration of proteins, vitamins, calcium and mineral salts make it appropriate for all age groups. Latteria Sociale Cooperativa "La Grande"